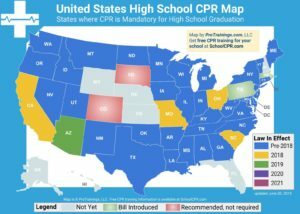 In the state of Alabama, the AHSAA mandates that all coaches, and non-faculty coaches must be CPR and AED certified. This is to meet requirements to be certified as a coach in the state of Alabama under the AHSAA Coaches Education Program. –Must complete Coaching Principles and Sports First Aid courses before having any interaction with student athletes. Note: A coach must pass both required courses in order to qualify to receive a coaching card. Verification of course requirements and CPR/AED certification plus NFHS Sportsmanship Course, Heat Illness Prevention, and Concussion courses for each coach must be kept on file in the principal’s office. Membership fees itemized on each school invoice (generated online) must accompany that invoice upon submission to the State Office. –Must have completed the coaches’ portion of NFHS Sportsmanship Course, Heat Illness Prevention course, Concussion course, and Sudden Cardiac Arrest course. –Must be CPR/AED certified. Certification must be active each year. –Must complete Coaching Principles and Sport First Aid courses before interaction with student athletes. Coaches will be exempt if these courses were taken during undergraduate or graduate programs and approved by the State Office. Note: A coach must pass both required courses in order to qualify to receive a coaching card. Verification of course requirements and CPR/AED certification for each coach must be kept on file in the principal’s office. Membership fees itemized on each school invoice (generated online) must accompany that invoice upon submission to the State Office. –Must have completed the coaches’ portion of NFHS Sportsmanship Course, Heat Illness Prevention, Concussion course, Sudden Cardiac Arrest course. 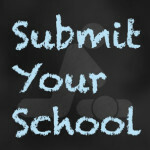 –Are to take both courses for professional development or personal development before interaction with student athlete.